Special Relativity Theory | Einstein | Relativity Theory Book | Albert Einstein | e=mc2 | wrong error | For Dummies Book | For Dummy "
When discussing Albert Einstein and his ideas, most people make the mistake of assuming that the theory that gave the world E=mc2 comprises the full extent of the great scientist's ideas. Of course nothing could be further from the truth since Einstein expanded on his theory of Special Relativity (1905) through his General Relativity (1915). But in the minds of the general population E=mc2, the theory of Special Relativity which gave it life and the other mysterious predicted effects is the sine qua non of Albert Einstein. 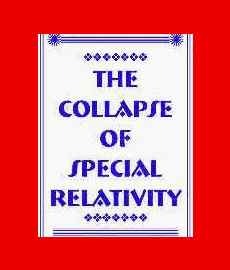 Without Special Relativity the foundation of much of modern physics would be radically altered from the divergent course it has taken for the last century. Reviewing the basic tenets of this revolutionary treatise is at first glance a daunting task that would give pause to most readers. However, in an easy to read book by Michael Strauss that can be purchased on this site, this theory will be put to the test and it will not pass muster. Casual readers should not be put off by this subject matter since the author has made every effort to minimize the complexity of the math present therein. It should be noted that there were many other scientists who offered major mathematical insights well before Einsteins contributions came to public light. In fact, it is debated in some circles whether or not he was the first to transform a series of mathematical assertions into the notorious E=mc2. More and more evidence is coming to light that E=mc2 and of course the early equations of Special Relativity descended from such luminaries as Fitzgerald, Lorentz, Poincare and others. In particular, Hendrik Antoon Lorentz was a Nobel Prize winner who along with Irish physicist George Fitzgerald predicted a length contraction effect from the results of an unexpected result of the Michelson Morley experiment (this experiment is further described in our blog section). Fitzgerald was the first to suggest this effect in a paper entitled "The Ether and the Earth's Atmosphere" (1889) attempting to explain the results of Michelson Morley. Lorentz similarly showed how this effect would interact with electromagnetic theory. All of these men and possibly others fell into the trap known as the Fitzgerald-Lorentz contraction hypothesis. This concept required a decrease in the observed length of a moving object. In other words, observers at rest in one perspective determine a reduction in the size of the moving object in the direction of the moving object. So that if one is watching a vehicle heading East for example, then the equations predict a smaller observed size for the vehicle from the perspective of an observer outside of the vehicle and at rest from the vehicular motion start. In addition to the aforementioned physical dimension effect, Lorentz would publish a innovative challenge to the conventional ideas of time creating the phenomenon of 'local time.' These ideas percolating in the mind of the great Dutch physicist produced the second of modern physics most awesome ideas. In this fashion, time dilation was born from the deep recesses of Mr. Lorentz mind in 1904. 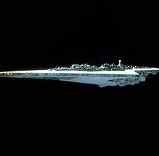 This effect gave life to a great amount of science fiction stories whereby the possibility of time warps and time travel became 'suddenly' possible. Lorentz had predicted that time slows down in a moving object yet stays the same on an observer who was at rest before the object moved away. He did this using equations different from the ones used later by Einstein and Poincare in 1905. To add even more confusion to the pedigree of the equations of special relativity, another scientist named Larmor had used a similar set of equations much earlier than Lorentz. But in any case, the theory became a hodge podge of equations attempting to mathematically describe the experimental results whilst in Michael Strauss' view they simply added mathematical errors into the matrix. The distillation of all of these ideas into a coherent yet erroneous whole fell to Einstein who published On the Electrodynamics of Moving Bodies ("Zur Elektrodynamik bewegter Korper," in Annalen der Physik. 17:891, 1905). Einstein's landmark work built mightily upon the work of Lorentz, Poincare, Fitzgerald, Larmor and others to bring the ideas of Time Dilation, Length Contraction and many others to an unsuspecting world. In doing so, he even predicted an increase in mass for moving bodies. It should be noted that Lorentz had also included an increase in the mass of a moving object as one of the predicted effects of his mathematical works. Whilst the appropriate crediting of accomplishments is a worthy goal, Michael Strauss' book is NOT about who did what first. In fact, he does not discuss the descent of ideas from this person or that one inside its pages. Much more importantly he simply shows the novice reader how incorrect this entire edifice of modern thought has become in a simple and easy to read manner. The socio-economic, political, spiritual and scientific thought of the last century was shaped by the modern Theory of Relativity. Many phrases such as "relatively speaking" are well known and generally indicate that all things are equally right; of course this terminology also may indicate the opposite, namely, that all things are equally wrong. The theory of Relativity in its two variants General Relativity and Special Relativity has led to an increase in the belief that the universe is a confused and disordered construct with no absolute principle, except for the constancy of the velocity of light in a vacuum, labeled 'c' in the scientific lexicon. Thus, chaos reigns with the sole exception of the speed of light 'c' even within the scientific structure itself. The socio-economic, spiritual and political consequences of these ideas is NOT, repeat NOT the subject matter of Requiem for Relativity The Collapse of Special Relativity. On the contrary, the book is about the science of relativism in its most famous theory. Ranging from the ancient Ptolemaic and Aristotelian models of the Greeks, the book rapidly guides the reader to the ideas of Copernicus and Kepler (elliptical planetary orbits) up to the classical ideas of Galileo Galilei. Strauss leads the reader in a description of the classical notion of Relativity as can be seen in the table of contents under Classical Relativity. A simple example of Classical Relativity is as follows. Imagine that you were in a boat traveling at 15 knots behind another boat traveling at 20 knots. Then what is the other boat's speed relative to yours? Clearly relative to your boat the other is going 5 knots. However, relative to a person stationary on the earth your boat is traveling at 15 knots and the other boat is traveling at 20 knots. Thus, Classical Relativity allows for the discernment of different velocities based upon the perspective of an observer. The modern notions of the universal scientific laws derived from these perspective based ideas are then introduced in chapter 3. 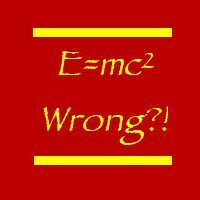 Albert Einstein and his Special Relativity will attempt to provide a similar perspective based physics. In Einsteins Special Relativity several other physical measurements including space, time, mass and energy become dependent on perspective and in particular the perceived velocity from the different observers. In doing so, Einstein overturned the classical order and the ideas of Galileo and Newton as well as many others. The book shows the errors in this thinking using the equations of Albert Einstein (equations taken from the work of H.A. Lorentz and Voigt 1877) as well as the original documents, experiments and ideas of Special Relativity. Notice: All rights reserved. No part of the book may be reproduced in any form or by any means, electronic, mechanical or optical, including photocopying or recording, or by any information storage retrieval system without permission in writing from the publisher. Purchasing the book signifies acceptance of these terms by the buyer.